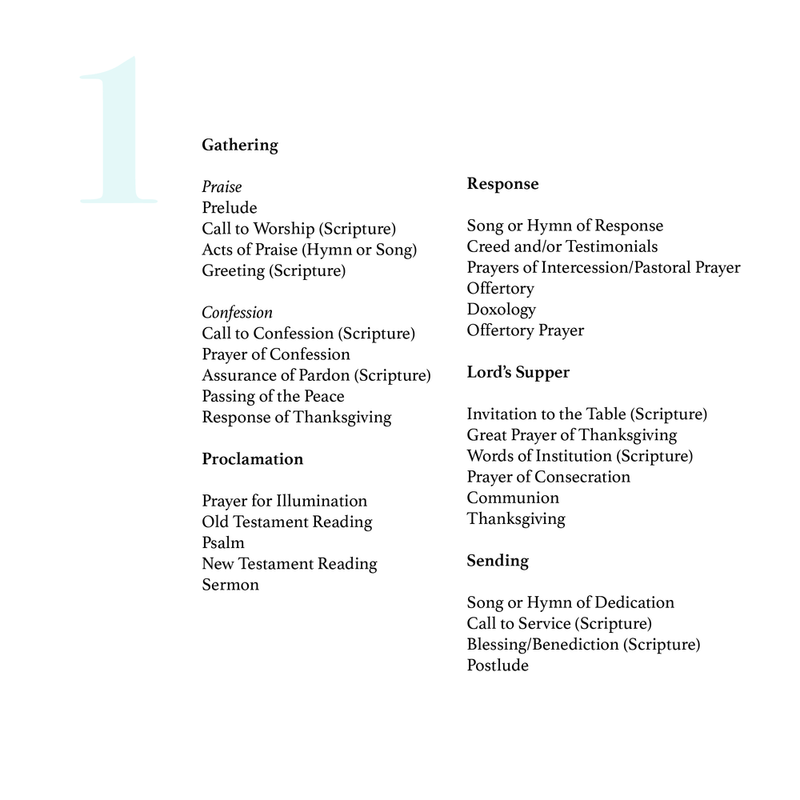 This communion service is based on the "basic pattern" outlined above, with expanded sections for praise and confession, thanksgiving, a spoken creed, and a call to service at the end. Another communion service, this one is much simpler. The "Lord's Prayer" is sung by the congregation following communion, in place of the closing hymn. Similar to no. 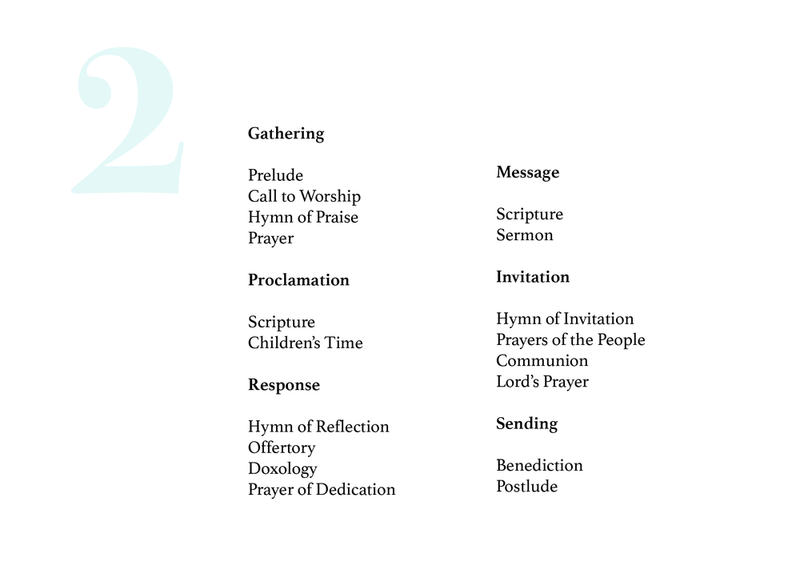 2, this service is loosely based on the "basic pattern," with an added time of thanksgiving between the Proclamation of the Word and the Message. I love the simplicity of this worship order. The Praise & Thanksgiving section at the beginning of the service moves smoothly through a congregational hymn, affirmation of faith, and the Gloria Patri, with opportunities for passing the peace and praying together. Note that the choir sings at the beginning of the service and again during the offertory. I also love the sung congregational response at the end. This service is divided into sections that mirror the "basic pattern" but use more modern language to tell the story of why we gather for worship: to hear the Word, to renew commitment, and to disperse in mission. This worship order includes many more traditional elements, including an affirmation of faith or creed and the Gloria Patri. 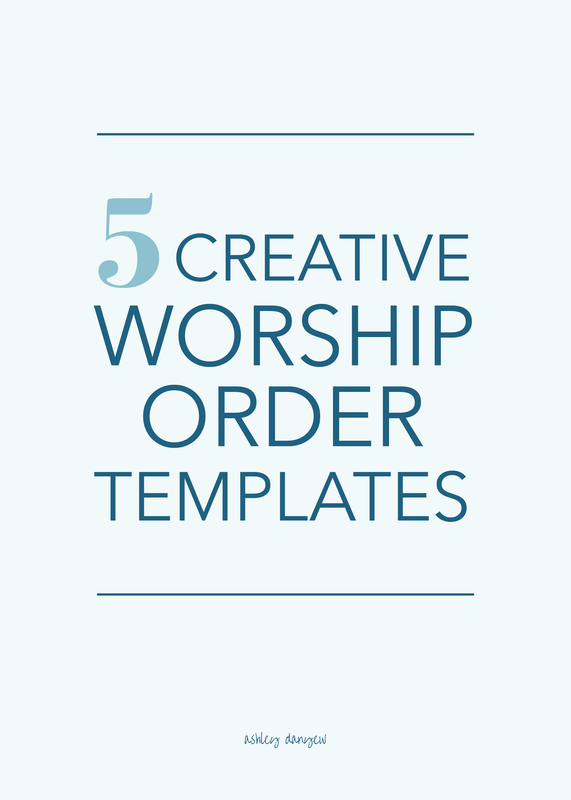 What does your worship order look like? Which one of these five is your favorite?